Clear Brook - What is FFA? The National FFA Organization is a dynamic and growing youth organization, nearly half-a-million student members strong, based in agricultural science education. The FFA makes a positive difference in the lives of students by developing their potential for premier leadership, personal growth and career success through agricultural education. These lessons, skills, friendships, and experiences shape our members, and the benefits remain for their entire lives. Members participate in a wide range of agricultural science education activities, leading to the possibility of more than 300 professional career opportunities. By joining FFA and experiencing the benefits of the organization, student members are creating their own success stories across the United States, like thousands of members who have come before them. The continued success of our student members remains the primary mission of FFA. The Clear Brook FFA chapter is dedicated to making a change in the lives of its members through agricultural education and FFA membership, by demonstrating good sportsmanship, promoting personal growth, building leadership skills to impact others and encourage each other to reach outside their comfort zone. Supervised Agricultural Experiences (SAEs) give students a well-rounded view of career opportunities by exposing members to real world hands-on agricultural experiences conducted outside of the classroom. An SAE is a work experience that is created and carried out by the student. This part of the integrated model gives students a chance to explore the career areas that interest them. Career Development Events (CDE's) build on what is learned in agricultural classes and encourage members to put their knowledge into practice. These events are designed to help a member prepare for a career in agriculture by testing and challenging the student's technical, leadership, interpersonal and teamwork skills as well as their knowledge of the subject matter. 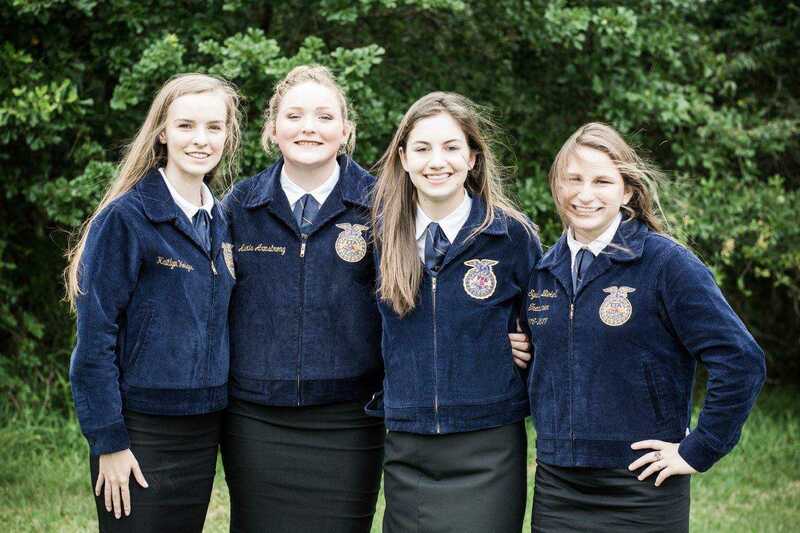 Leadership Development Events (LDE's) focus on creating situations for members to demonstrate their abilities in public speaking, decision making, communication and their knowledge of agriculture and the FFA organization.